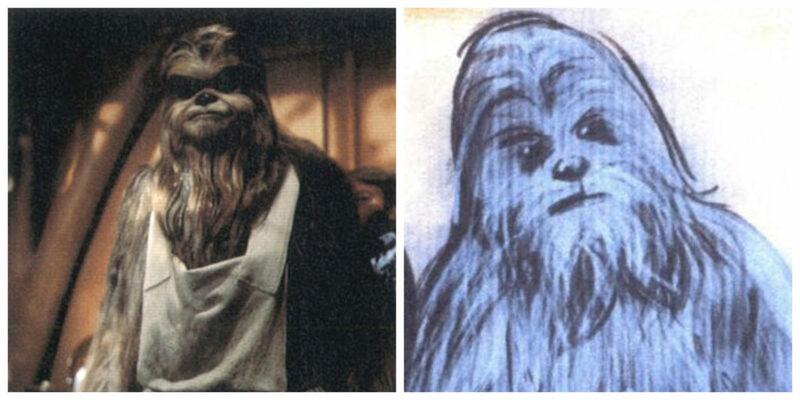 Malla in The Star Wars Holiday Special (left) and Tales from Vandor (right). Mallotobuck (AKA Malla) was Chewbacca’s wife. She debuted in the infamous Star Wars Holiday Special and made her first canon appearance in the book A New Hope: The Princess, the Scoundrel, and the Farm Boy. She was also mentioned in the book Aftermath: Empire’s End and Solo: A Star Wars Story: Tales from Vandor. You can find Malla in several Legends book and comics including Rebel Dawn, Star Wars 91: Wookiee World, and The New Jedi Order: Agents of Chaos 1: Hero’s Trial. Mallotobuck and Chewbacca in the Legends comic Chewbacca #1.